Juliet grew up in New England, playing lots of different sports, finally settling on field hockey, basketball and rowing in high school. Spending more time in the boathouse than in class in college, Juliet learned a tremendous amount about teamwork and leadership and was a keen observer of her coaches’ approach to building a nationally ranked rowing powerhouse. After college Juliet started a nonprofit that recruited college athletes to coach in South Africa’s black townships; ran teaching programs across southern Africa; went to business school; married; worked with refugees on the North Korean-Chinese border; raised two sons and two dogs; enjoyed stints at Nike, Mercy Corps and Friends of the Children; moved her family 5 times across 24 times zones to support her husband’s career; served on school and non-profit boards; coached four different youth sports; learned Dutch; started a blog, a travel service and a consulting practice; and announced the Opening Ceremonies for the 2014 World Rowing Championships in Amsterdam. In 2014, Juliet returned to competitive sports, first as a tennis player and then as a triathlete. She quickly remembered how much she loved racing and competing, both as an athlete and as a mentor and coach. 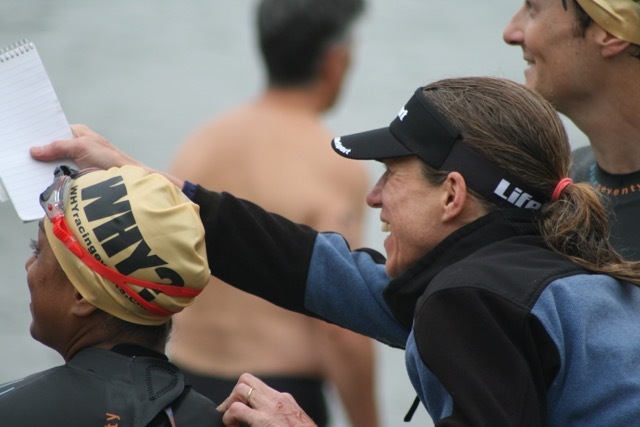 After three years of racing triathlon at the local, national and international level, Juliet started Steelhead Select, a high performance women’s triathlon team, in partnership with Shawn Bostad. Excited to take it one step further, Juliet received her USAT Level 1 Coaching Certification in 2018. Captain, Recipient of Harvard Athlete of the Year.